You can buy memory from a number of different brands, but only one of them is part of a true memory manufacturer. Over the 30-plus year history of memory manufacturing, the 40 original manufacturers have dwindled to just three. We're one of them. As a brand of Micron, one of the largest memory manufacturers in the world, we manufacture our modules to a higher standard of excellence than is often available through third-party suppliers. Here's how you'll notice the difference. 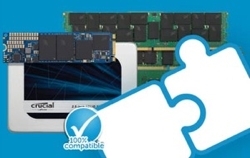 Memory is only as good as it is reliable, and that's why all Crucial modules are 100% component and module tested. 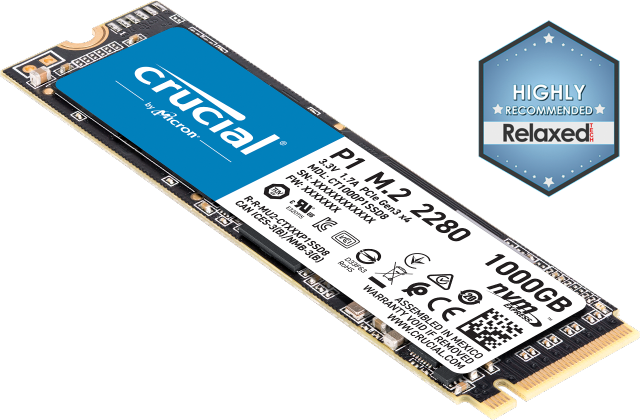 Additionally, all Crucial memory is backed by over 35 years of manufacturing expertise, one of the industry's most in-depth quality test programs, and a limited lifetime warranty. We believe in building products that last, and that's exactly what we've done. Memory is only as good as it is available. As the only consumer and business-facing brand of a major memory manufacturer, Crucial offers direct access to OEM-quality modules, along with a consistent level of supply that can only be achieved by a true manufacturer. Many aftermarket brands of memory simply assemble modules from chips and third-party components, but a higher level of quality and availability can be achieved when choice silicone becomes tested, finished modules. Memory is only as good as it is compatible, and with over 250,000 upgrades for more than 100,000 systems, we have memory designed for your system’s unique specs. From cutting-edge DDR4 memory to legacy DDR modules, we offer memory for all types of systems – yours included. Finding the right memory is easy, too. In just a few clicks, our industry-leading System Scanner or Memory Advisor tool will identify compatible memory for your system in 60 seconds or less. It’s that easy!